This data was acquired from Bortle 4-5 skies outside of Ft. Worth, Texas. I’ve had this data sitting on my computer for a while but have been busy with school and haven’t gotten around to posting it until now. I really like the dark trail of dust behind the cocoon and I think it makes a very nice composition. 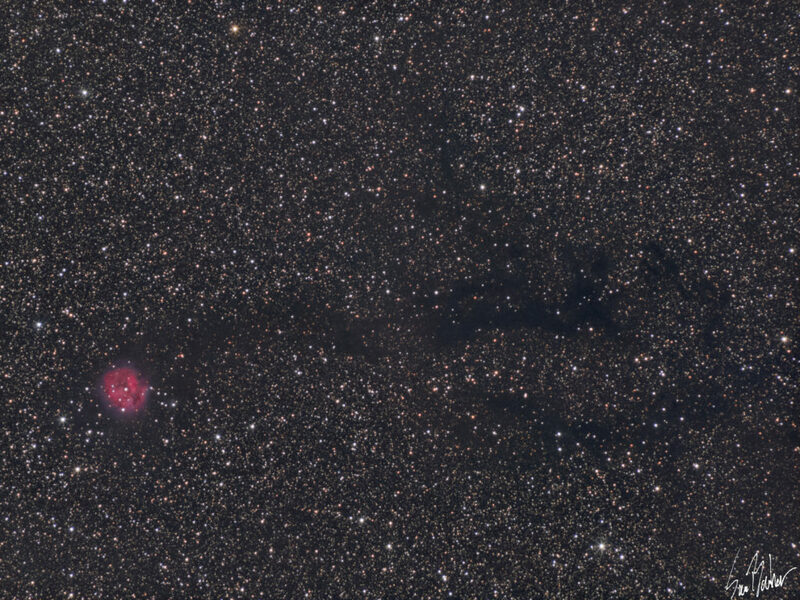 The Cocoon Nebula (IC 5146, middle left) is a bright region of ionized hydrogen gas caused by the surrounding stars. The trailing tail is dark, colder hydrogen gas that is also forming stars but at a slower rate. This object lies in the north east edge of the summer constellation of Cygnus.